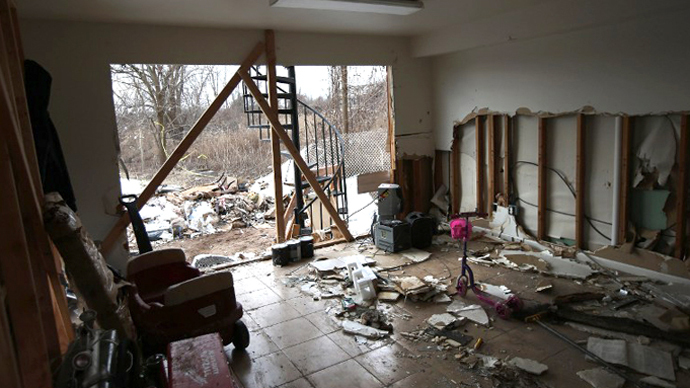 Tens of thousands of Hurricane Sandy victims still remain homeless, desperately waiting for government assistance while fearfully anticipating the start of another hurricane season. Some victims are living out of cardboard boxes, overstaying their welcomes at the homes of friends and family while their own houses remain demolished. Families remain separated, dispersed throughout the country as they continue to fight with their insurance companies for assistance that has never come. Businesses are shuttered, homes are overtaken by mold and piles of rubble litter the backyards of the houses that now stand empty. Victims relying on subsidized hotel rooms could soon end up on the streets, since government relief funding is set to expire. Advocates claim there is not enough public and low-income housing to accommodate the hundreds who have relied on FEMA-subsidized hotel rooms for the past six months. 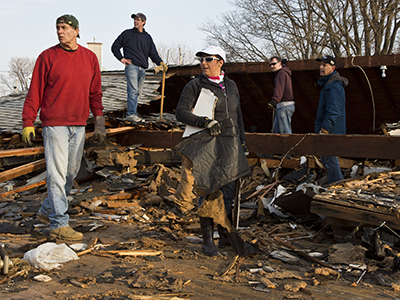 In the seaside community of Breezy Point, Queens, 2,400 of the 2,800 homes remain unoccupied. The neighborhood stands as a ghost town, illuminated only by the flames of the fire burning down the houses red-tagged for demolition. 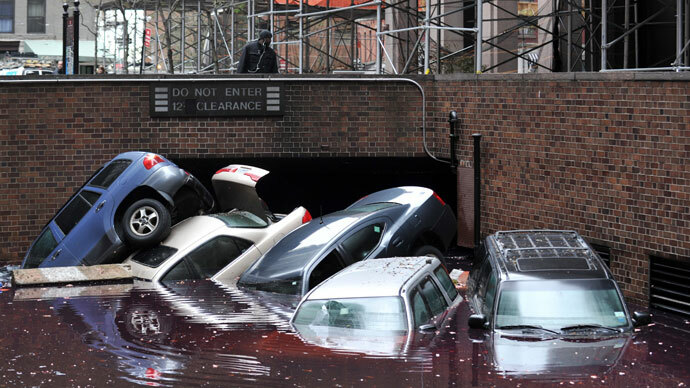 “Insurance and the new building codes delay everything. It’s like Breezy is frozen in time,” Michael Sullivan, a resident of the seaside community, told the New York Daily News. And after six months of a gruelingly slow recovery, tens of thousands of residents remain homeless, dreaming of a normal life that they may never be able to return to. “Some people are still very much in the midst of recovery. You still have people in hotel rooms, you still have people doubling up, you still have people fighting with insurance companies, and for them it’s been terrible and horrendous,” said Gov. Andrew Cuomo, ahead of the six-month anniversary of Hurricane Sandy. 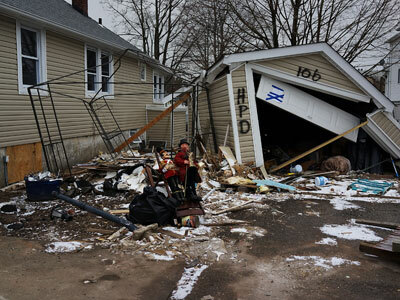 But despite the cries of the forgotten victims of October’s superstorm, New Jersey Gov. Chris Christie said Monday that President Barack Obama “has kept every promise he’s made” in regards to the recovery effort. “I think he’s done a good job. He kept his word,” he told MSNBC’s “Morning Joe” on the six-month anniversary of the storm. “Everything the president promised me they’d do, they’ve done. I don’t have any complaint this morning on the issue of disaster relief,” he added. 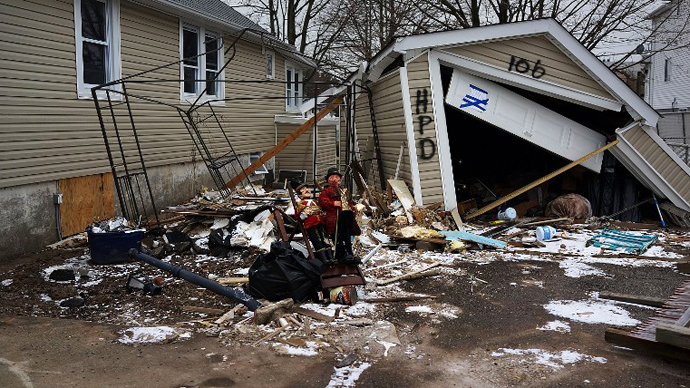 In New Jersey alone, Hurricane Sandy destroyed 360,000 homes and apartments, many of which remain uninhabitable. And American lives have been unnecessarily lost to the slow recovery effort. The National Hurricane Center attributes 72 deaths directly to the superstorm and 87 deaths to storm-related causes, such as hypothermia due to power outages, carbon monoxide poisoning and other accidents resulting from the cleanup process. Many of the storm-ravaged areas look no different than they did a few months ago. In January, victims complained that the president broke the promises he made before he was re-elected. After the storm struck, Obama pledged to assist the victims as quickly as he could, posing for a photograph with New Jersey business owner Donna Vanzant, who had lost most of what she owned. In an image that quickly went ‘viral’, the president embraced the devastated woman. But a few months later, Vanzant said she was quickly forgotten by the administration. 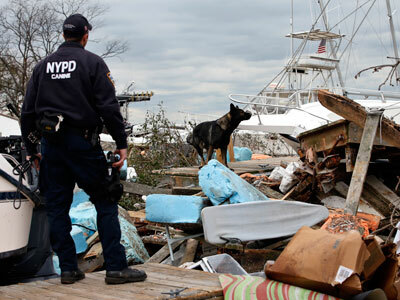 At the start of the year, some lawmakers complained that Congress had betrayed the victims of New York and New Jersey, instilling feelings of abandonment and outrage among the residents of storm-afflicted areas. But while Christie announced a $1.7 billion federal grant on storm recovery efforts and describes a “return to normalcy”, the tens of thousands who remain homeless continue to live shattered lives. “Everybody’s house had pretty much the same amount of damage, but people are getting different amounts of money, and that’s caused some problems,” George Stauble, a New Jersey resident who lost his home in the storm, told NBC. But the president’s promise has been broken in the eyes of those who were refused adequate assistance by insurance companies and the federal government.